In an earlier post, I offered some insight to anyone who may be considering going to law school. In this post, I am following up with general advice to college students who are looking at their career options. But first, let’s take a look at some career news. According to the Wall Street Journal, a study by the University of Wisconsin shows that summer internships may be more beneficial at landing a job than a business degree. The outcome of the study is that employers give more weight to real-life experience than to classroom achievements. Specifically, a summer internship is estimated to increase the odds for a job interview by 14%. This boost in employment opportunity occurs even if the internship was listed on a resume five years prior. If you are a college student who is thinking about an internship, here are my recommendations that you can keep in mind as you explore career options. It’s good to know that getting practical experience is beneficial for the job search, because I think practical experience is a critical step as part of the career determination process. I encourage people to try something out before making a significant educational investment. For example, if someone is hoping to become a physician, I would want that person to make sure that interacting with patients is enjoyable. Ultimately, no matter when it happens, if you realize that you don’t like what you do, it’s time to move on to something else. Figuring out what you don’t want to do, even if you’re far along on a career path, is part of your self-discovery process. A career choice is often hiding in plain sight. You need look no further than what you are good at doing. As long as you don’t hate it (see step 1), if you are good at the work, you will probably find fulfillment and meaning as you shape your career around your gifts and talents. Sometimes, people are so good at something that they assume that anyone can do it because it is so easy for them. Focusing on what comes easily for you will allow you to build a vibrant career that plays to your strengths over your weaknesses. An internship provides a learning experience that lets you figure out if you are good at something before investing a lot of time and energy in a narrow field. That being said, you should always be targeting earning a decent wage no matter how much you want to do the work. I am wary of employers who are looking for free labor rather than improving their industry by offering solid mentoring. Even if you are paid a fixed salary, calculate your hourly wage to make sure you are not working beneath your earning potential. If you are doing an unpaid summer internship, you might want to consider negotiating working a few days a week, rather than the whole week. This will free your time to earn money in a paying job or to do other activities related to the profession that you are exploring. Job announcements often state that an employer is looking for a passionate applicant. I recommend flipping this on its head, and looking for employers who are passionate about improving society through services and products. An employer’s mission statement should be something that makes you proud. The CEO should be someone you want to follow. Your supervisor should be someone you want to help become great. Fellow employees should be fun to work with. These are examples of qualities you want to look for as you map your skills to a possible job. If you’ve read the book The E-Myth Revisited by Michael Gerber, you’ll know that one of the ways to start disliking what you love to do is to launch an entrepreneurial business. While you may be able to convert work that you love into a business, it is probably best to save your passion for a hobby. This allows you to enjoy the work without the stress of administration and marketing. While we are talking about hobbies, I encourage university students who are choosing a major to imagine whether they would enjoy what they are learning after they retire. I think a college major should be something you think you will enjoy independent from career prospects. Furthermore, if you have a choice, your major should lean towards the liberal arts as much as possible, because ultimately, college is about learning how to think. You can always acquire practical skills later with electives, certification programs, and internships. But learning how to think through intensive reading, writing, and speaking is best learned while in college. Do not be too timid and squeamish about your actions. All life is an experiment. The more experiments you make the better. What if they are a little course, and you may get your coat soiled or torn? What if you do fail, and get fairly rolled in the dirt once or twice? Up again, you shall never be so afraid of a tumble. 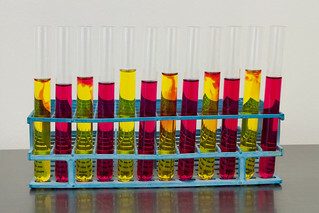 Image: “Test Tubes” (CC BY 2.0) by Shaun Fisher. Source: Nunley, John M, Adam Pugh, Nicholas Romero, and R A. Seals. “College Major, Internship Experience, and Employment Opportunities: Estimates from a Résumé Audit.” Labour Economics. 38 (2016): 37-46. Demonstrating the rubric of faster-better-cheaper (called “FBC”), NASA will be taking a new tack into space exploration. However, not everyone has come aboard on the faster-better-cheaper ship. NASA engineers often respond to faster-better-cheaper by demanding: “Pick two!” For example, with software development it is generally believed that if a project’s scope increases (better), then either the completion time increases (slower) or the people expense increases (costlier). Because of the pick-two response of engineers, there is often a debate over whether faster-better-cheaper is all that NASA’s leadership has claimed it to be. Nevertheless, it appears that faster-better-cheaper remains useful to help achieve continued exploration of space. According to National Geographic, NASA will be sending a spacecraft the size of a shoebox to rendezvous with a distant asteroid. The spacecraft, known as the Scout, won’t be powered by rocket fuel. Instead, it will draw power from sunlight using an ultrathin solar sail. When light particles (photons) from the sun bounce off of the solar sail, the spacecraft will be propelled forward and is expected to reach a speed of over 63,000 miles per hour. That is fast, especially considering the Scout doesn’t require storage for fuel after it is released from a launching rocket. Furthermore, because the sun is always shining, the Scout can keep accelerating. This makes the Scout faster because there are fewer mechanical parts requiring time to develop. The Scout is better because it can reach high speeds without fuel. 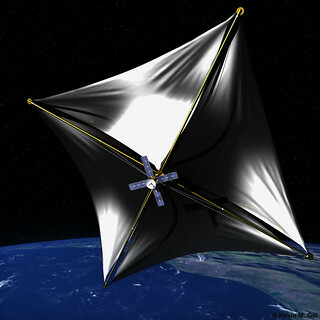 And, the Scout is cheaper to develop due to the solar sail’s simplicity. Not only can faster-better-cheaper be helpful to promote space exploration, it is also a useful rubric for dispute resolution. 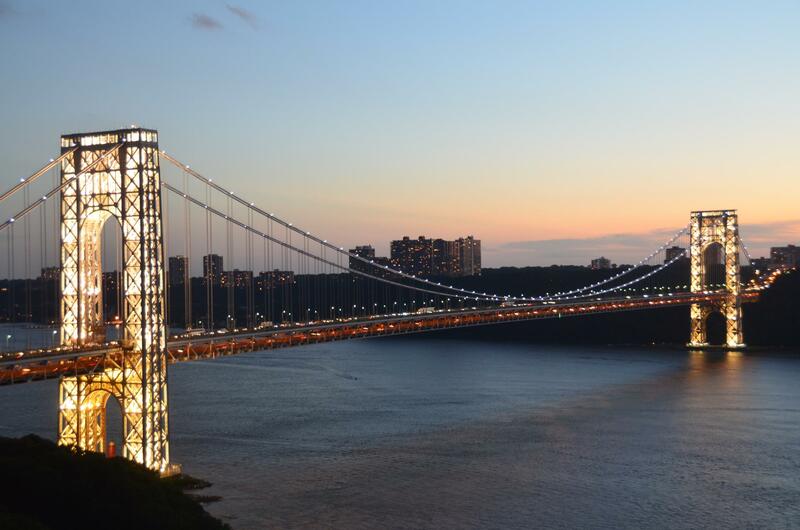 When compared to going to trial, mediation is almost always faster and cheaper. Mediation is considered faster because you can schedule a mediation at any convenient time, as opposed to waiting for trial to be scheduled on a court calendar. And, mediation is considered cheaper because you can resolve your conflict before a court process spirals out of your control, with corresponding out of control costs. When deciding whether to mediate, the most typical question asked is whether the outcome of mediation will be better than what would likely be achieved in the courtroom, given the extra cost and time of protracted litigation. Of course, it is often difficult to determine what a litigated outcome will be. After all, it can be hard to predict what a jury will do. This is why, in a preconference phone call, a mediator will often discuss with parties what their objectives are and whether they have compared those objectives to a likely outcome at trial. After parties analyze their options, the courtroom may become the preferred destination. However, one must also take into account that mediation is a confidential process, and some may consider mediation better simply because it allows one to preserve privacy. Conflict coaching also fits within the faster-better-cheaper rubric. As Ken Cloke points out in his book Resolving Conflicts at Work, the time and money spent resolving conflicts in the workplace are far less than the time and money wasted on unresolved conflicts. For example, unresolved conflicts can destroy relationships, decrease productivity, increase employee turnover, and ultimately lead to lawsuits. Further, managers get pulled into unresolved conflicts after they become intolerable for everyone, taking managers away from their other business duties. Also, there is an opportunity cost to unresolved conflicts in that an organization may be missing the opportunity to improve its structure and culture by addressing what might be a widespread problem. Rather than sweeping conflict under the rug and hoping that it disappears, people in conflict can sit down with a conflict-resolution facilitator and work out solutions. Specifically, a facilitator can help everyone tell each other what is true for each person, and utilize listening skills to hear the perspective of others. Facilitation is a small investment compared to the time, energy, money, and resources lost through people being unable to work together. Like NASA’s Scout that is stretching out to achieve great things, don’t be afraid to rely on faster-better-cheaper to go places with conflict resolution that may seem unreachable. Just as NASA is coming up with creative solutions to set lofty goals, try mediation and facilitation to find creative resolutions that free you to catch the solar winds of your own goals. Image: “Solar Sail” (CC BY-SA 2.0) by Kevin M. Gill. Source: Strauss, Mark. “New NASA Spacecraft Will Be Propelled By Light.” National Geographic. National Geographic Society, 3 February 2016. <news.nationalgeographic.com/2016/02/160202-solar-sail-space-nasa-exploration/>.